Lusaka is likely to be hit by another serious cholera outbreak this year if piles of garbage across the city are not collected by the local authority. James Zimba said despite companies donating rubbish bins to the Council, the local authority has failed to collect garbage on a daily basis. “The uncollected garbage by the council risks the city being hit with yet again serious cholera outbreak. We don’t know why and how the council is failing to collect garbage despite companies like MTN donating the bins to the council,” Zimba said. Another resident from Chazanga Maureen Mwape said the local authority had just focused on chasing away venders instead of collecting garbage in the streets. “Vendors don’t bring cholera but the uncollected garbage which you are leaving are the ones which can bring serious cholera outbreak this coming raining season. The council should stop chasing the vendors and instead concentrate on garbage collection and cleaning the town as time is not on their side,” said Mwape. 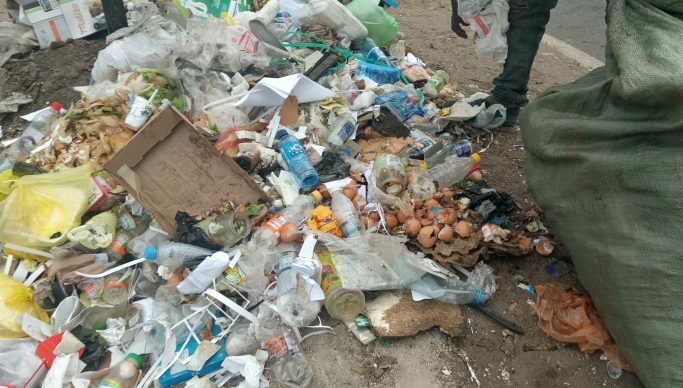 Meanwhile a check by newsdayzambia.com on Freedomway, Cha Cha Cha and Cairo Roads found uncollected garbage mostly in the MTN bins.